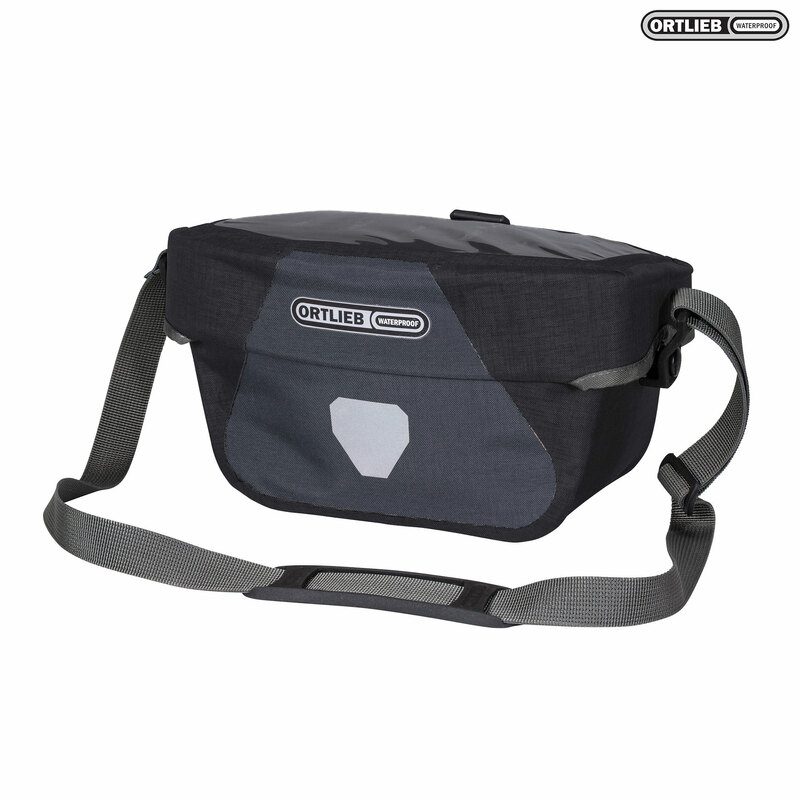 If you're on the lookout for a more compact handlebar bag, you may want to consider the Ortlieb Ultimate 6 S Plus. Made of durable, water-resistant Cordura fabric and sporting a 5-litre payload, the bag gives you the space you need for the things you want to be able to access in a hurry. The transparent flap compartment with an internal dimension of 21 x 12cm offers you an entirely waterproof and easy-access space for your smartphone, GPS device, map and other items. And, yes, you can also operate your touchscreen devices through the plastic cover. You can easily open and close the magnetic clasp with one hand. Thanks to the detachable shoulder straps, you can transform your handlebar bag into a practical shoulder bag whenever you like. You can also lock the flap of the bag and the handlebar mount for maximum security.